Autism lies on a large spectrum which means that under the term ‘autism’ there are lots of different types which have different symptoms and severities meaning no two autism disorders will be the same. Autism is a developmental disorder which has an impact on how an individual perceives the world and reacts to it. For example, a child suffering from autism may be very rigid in their thinking. You will notice that the child must stick to their routine as breaking it can cause the child to become agitated and upset. An autistic child will often not make eye contact with others and appear to be in their own world. One of the most common symptoms of Autism or Asperger’s is the individual’s lack of understanding of how to behave in a social environment. Whilst symptoms can be mild and controllable, they can sometimes become severe and cause challenges to the individual in leading a normal life. If you believe you are suffering from autism, we have a very supportive and understanding team who are here to listen to you and help you with your symptoms. We will help you to understand your autism, how to manage your symptoms and teach you techniques on how to deal with situations you find particularly difficult. 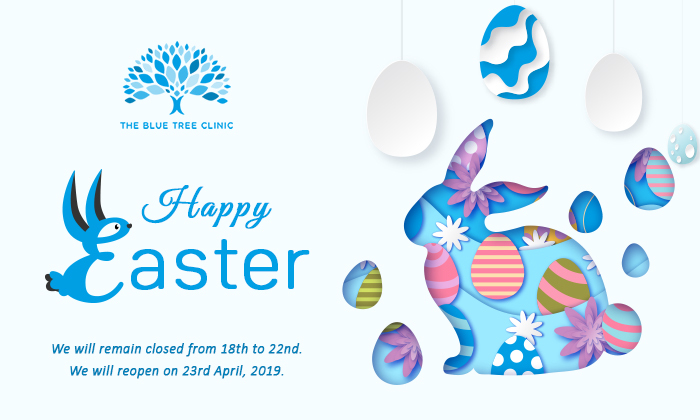 Here at The Blue Tree Clinic, we pride ourselves on being a private mental health clinic that will support you throughout your time with us and after you leave us. Please give our mental health specialists a call or complete our contact form. We can then discuss the best course of treatment to help get you on to the road to a happier life.